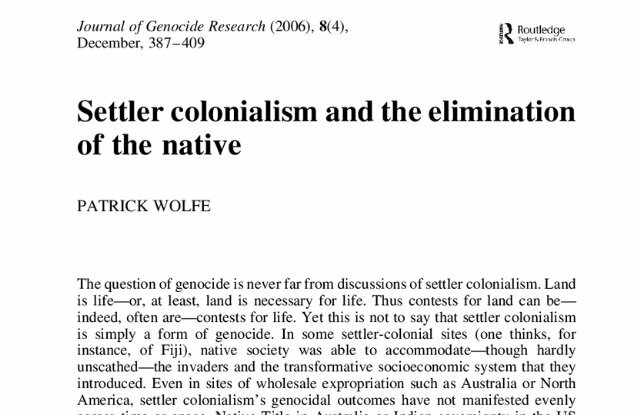 Seminal academic paper on settler colonialism, used in college courses and referenced over 1500 times, falsely claims (without citation!) Zionist Jews in the 1910s said they wanted the land "goyim-rein." Social sciences are totally corrupt. 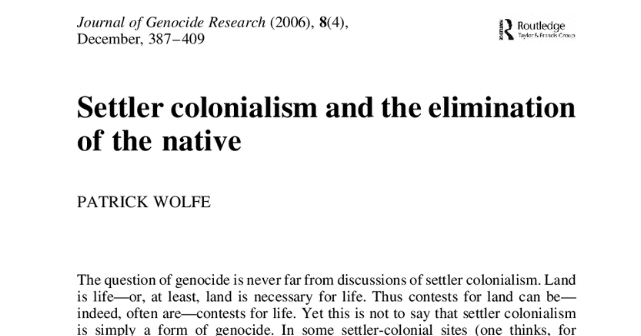 The more I look at academic papers that purport to describe Zionism, the angrier I get. The bias and utter disregard for fact checking would make most news editors blush. One person will make up a theory, and unlike scientific theories, it requires no proof or corroboration. It just needs to appeal to the target audience - of other people in social sciences. Then, that paper will become one of the sources for many other papers that take the unproven theory as fact, and then extend it into la-la land. The cycle repeats. Spend a little time tracing the sources and there is no "there" there. When a "proof" is given, it is usually an anecdote. Counterexamples are suppressed. So you can prove anything as long as you cherry pick your evidence. Social science papers (at least on Israel in non-Zionist journals)) are the exact opposite of scholarship. It is literally impossible to imagine someone getting a paper published that would say, for example, that Zionism is not colonialist. It goes against political correctness. The only analogy I can come up with is Arab anti-Israel propaganda: Twist the facts, align the ideas with how that world thinks, and suppress any other way of thinking. And never, ever fact check. The people reading these papers built on lies are tomorrow's professors - and journalists. People need to realize: Social science isn't science. Citations aren't proof. Big words don't mean it is intellectual. Using the methods that social scientists use in their papers, one can literally "prove" anything no matter how false or outlandish. I've seen it! This needs to be exposed. Badly. And the only people who can correct the problem are social scientists themselves who actually care about truth. There must be some of them who are disgusted at this state of affairs. And the pro-Israel community needs to spend as much time shaming the academic journals that publish this garbage as we do exposing media bias. It is no less insidious, and with far more disregard for actual facts or even-handedness. Only when the editors and professors and writers realize that they must use actual standards for their writings will this change. It is most upsetting that this has gotten this bad for so long. If I had time, this could be a book-length critique. And it is well past time that the world insists that social sciences use at least the level of fact checking expected from the hard sciences and even from journalists, who at least have published standards on being fair and unbiased. Social science academics have no such standards, and apparently neither do their journals. Where are the Gaza Earthship homes?